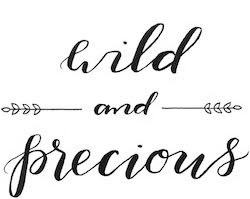 Wild & Precious: spring up, oh well! The blog has been quiet, but we've been busy. As soon as we get the septic hooked up and water running, we'll be able to move to our land. At first it will be a bit "camp" like -- not all the finishes will be in, will even be missing a few windows and waiting on a couple appliances, but we are not afraid of adventure, that much we have learned. I walked into one of the little stores in town (population 300) to grab a couple cookies from a friend. The owner, who has been so sweet and encouraging to us, asked "whats new and exciting?"... my answer yesterday is that we found a spring on our land! God provides. We were having so much trouble scheduling and getting the well digging people to work with us. Plus we were nervous that once it did get dug we'd have to deal with some pretty heavy sulfa water. And then... "spring up, oh well!" we have clean mineral rich water and plenty of it. All the plumbing is ready at the house and David is finishing up getting our water storage bin in place and connected to the house. We were all out yesterday. While David worked the kids and I spent a few hours at the neighbors' house -- chasing cats and dogs, riding horses, and talking to the cows. We are so thankful for these friends and mentors out in the country. We stayed until sunset last night even though it made bedtime two hours late. David snapped these pictures of me and baby. I'll never get over the magic of "yard." Magnolia is feeling particularly lonely for some farm pets. She wakes up every morning here at our Aunt's and Uncle's house and looks out the front door. She has been praying that God will send a lady over who will put a kitten in the front yard for her. Every morning she checks and sees none, but so sweetly does not despair and says to herself, "well, not today," and goes about the next thing. This season has been hard on all of us in different ways as we wait and hold onto so many hopes that are in the "not yet" category, trusting that the day will come. We are expectant. We are trusting. Over and over He proves His provision and care for us.